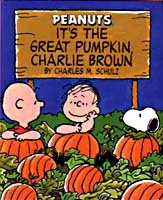 I jus discovered that somehow I let the new book adaptation of It’s the Great Pumpkin, Charlie Brown slip by without announcement. 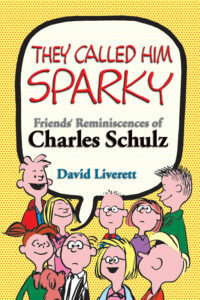 This isn’t the one that’s part of the line of kiddie books. 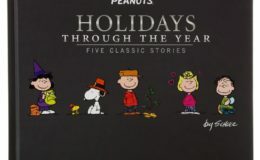 Instead, this is a miniature hardcover, a la last year’s A Charlie Brown Christmas adaptation. Well, it’s kind of late to pick this up before Halloween, but it is the right size (if somewhat incongruous) to use as a stocking stuffer. 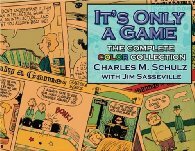 It covers the classic animated special in about 128 pages of text and art. They make some interesting decisions, such as going 10 full pages (admittedly, short ones) without any pictures. And changingtext fonts, sometimes for a reasonable effect, sometimes for no particular reason. 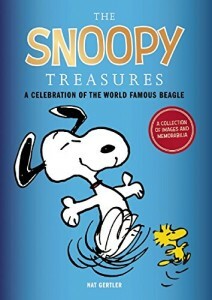 But then, this really isn’t something to be read, it’s a cute little object to be owned, if you like that kind of thing. Don’t believe what the cover image that you see on the ordering page, the real cover is the one pictured here. The book has a built-in bookmark, with a metal pumpkin dangling from it.